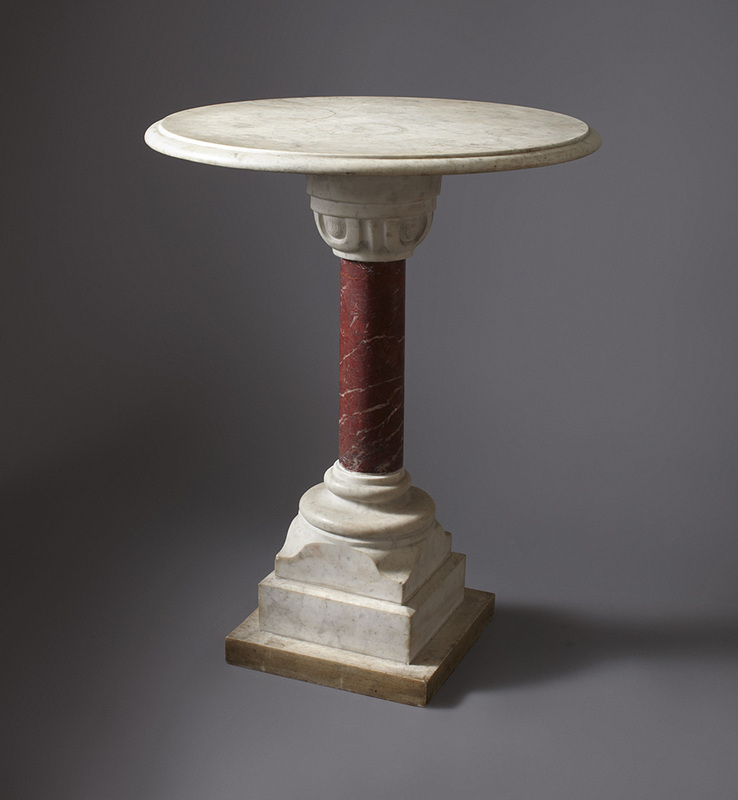 Table, Marble Round, Red and White French 20th C.
To a good quality marble tavern table. Developed in white marble having a red pedestal. An excellent table for outside use.